Attendance: Edd Nolan (Kiwanis), Jennifer (OAR and Jaycees), Phil Traina (Lions), Virginia McGee (Zonta), Joe Lott (Arlington Rotary), Elizabeth Schindler (Lions), Pat Koepsel (Civitans), Leandra Finder (Civitans), Kim Durand (Arlington Rotary). What does it mean to be a member vs. an affiliate member? Should we only have “service clubs” join? What is the definition of Service Club? On the Application Form, ask potential members to fill it out and then the ISCC will make the final determination of who is a member with full voting rights, vs. an affiliate member. Treasurer: No activity since the late meeting. Guest Speaker: Mark Riley, Race Director for the Turkey Trot joined us to share information about this annual event in Arlington. This year, it will be on November 27 at 8:00am, they are expecting up to 4,000 people! The two main charities of this event are Doorways for Women and Families, and Arlington-Alexandria Coalition for the Homeless. Right now, they are looking for sponsors, promotional activities, virtual event bag goodies, etc. They’ll also need volunteers for the event. Mark will share additional information as it becomes available. The first event they have will be on May 15th at Pete’s Pizza with proceeds going to the Turkey Trot. Elizabeth attended an optimist Club meeting, they will work on an additional site for a Welcome to Arlington sign. Latino Festival – Phil and Joe will be attending on behalf of ISCC. If you have materials to hand out, bring them to Phil. Clarendon Day – Karen is talking with Main Street Bank to see if we can work with them again this coming year. Annual Lunch at KoC, Edd is talking with Congressman Moran’s assistant to see if he can be our speaker. As we get closer to the date, see what makes sense for the event. If we decide we want students to attend, we can reach out to Toni Andrews site. On the Agenda – Leadership for Next Year! Attendees: Elizabeth Schindler (Lions), Virginia McGee (Zonta), Chrystia Sonevysky (ASCA), Karen Albert (Zonta), Edd Nolan (Kiwanis), Julia Oliver (Women’s Club), Phil Traina (Lions), Joe Lott (Rotary), Leandra Finder (Civitans), Kim Durand (Rotary). Better Sports Club and the Rosslyn Rotary Club have paid. We have 7 paid members, with additional invoices going out this month. We have had our first highlight in the Gazette featuring the Kiwanis. Upcoming we have ASCA in March, Civitans in April, Jaycees in May, Zonta in September, Woman’s Club iin October, Lions in November. June, July, August and December are still open. Phil and Elizabeth attended a Springfield ISCC meeting and shared how they run their meetings. There is an expectation that each club WILL send someone. Members include a library manager, which is where they meet. They also have a membership directory. Elizabeth shared a draft membership application form that we discussed and made suggestions to. When creating an application, we want to be welcoming and inclusive. This brought up the topic of affiliate members vs. club members. Who would be eligible for Man/Woman of the Year? We’ll need more discussion around this, but Kim will take a stab at drafting an application form for this group to review in March. As new members come on, we should highlight them in some manner. Have an ambassador go to a meeting to engage them in ISCC, this will solidify the relationship and encourage them to come to meetings. • The ISCC has been asked to present an overview of our clubs, activities and volunteer opportunities at a Latino Roundtable hosted by Co. Board Member Walter Tejada on April 11th. Please bring some promotional pamphlets or flyers for upcoming fundraisers/events to the ISCC meeting on March 28th. We will put out a table to help attract new members and participation in our activities. • The ISCC’s of Springfield and Fairfax with be joining at a future meeting. • We are hoping one or two clubs step up and take the lead on construction of an additional “Welcome to Arlington” sign. If you are interested in participating on a committee to explore sites, let Elizabeth know. • Arlington County Fair – Should we? Shouldn’t we? What do you think? We are going to ask someone from the Fair Board to join us at a future meeting to discuss. • Annual ISCC Meeting will be on November 19th. We have reserved Knights of Columbus. We are going to ask Jim Moran is he would be our speaker, plus this would give us an opportunity to honor him for his service to our community. We had a wonderful meeting on January 31, 2014 with attendance by The Women’s Club, Kiwanis, Arlington Sister City Association, Lions, Zonta, Rotary and Civitan Clubs. Our next meeting is scheduled for January 31st at noon at the Westover Library. Agenda will be sent via e-mail and posted here next week. Make your reservations now by clicking here. We are now accepting nominations for the Man/Woman of the Year On-Line! To publicly recognize those individuals who make significant contributions to their club or organization and/or community. Any club or organization in good standing as a member of the Inter-Service Club Council of Arlington (ISCC) is eligible to nominate a service club/organization member who has not previously received this award. Nominees should strive to attend the annual ISCC Service Luncheon that will be held Wednesday, November 20, 2013 at the Knights of Columbus, Arlington. The Social Time begins at 11:30am; the Luncheon commences at 12 noon. Tickets are $30.00 per person. Nominate someone for Man and/or Woman of the year by clicking here. The ISCC met on August 23rd with representatives from Civitans, Kiwanis, Lions, Rotary, Zonta, Arlington Sister City Association and Offender Aide Restoration (OAR). Below are just a few of the highlights that we discussed. Sun Gazette Ads: To promote our clubs, we have partnered with Metro Diner to place ads into the Sun Gazette. 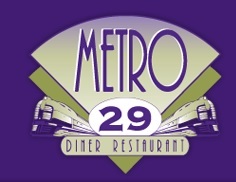 Clubs will have the opportunity to submit a short blurb about their club for a 1/4 page ad that will include the Metro Diner logo. In September, the ad will have Save-the-Date information for the ISCC Luncheon. THANK YOU METRO DINER FOR YOUR SUPPORT! They are having a Picnic for members on September 21st at Burke Lake Park in Shelter C. All are welcome! Kiwanis was proud to have participated in the iCanBike program that teaches disabled youth to ride bikes. They’ll be hosting their annual Installation Dinner on October 3rd. The Zonta Club will again be selling White House Ornaments for $20.00. NAACP will be hosting a dinner on October 19th at the Hyatt Regency in Crystal City. More information will be posted at a later date. ISCC will be looking at expanding its membership to include service oriented organizations that are interested in joining. We will be looking at the by-laws of ISCC, and exploring the implications. We discussed inviting potential members to future meetings to gauge their interest. We will work on an application form as well. Our annual luncheon is on November 20th at Knights of the Columbus. We need Silent Auction Items – if you have something to donate, please let Kim Durand know kdrotary@hotmail.com. Nominations are due by October 31st. Meeting Reminder – August 23! Our next meeting is on Friday, August 23 at noon at Westover Library. Agenda items will include the ISCC Luncheon, Man/Woman of the Year among other items. We look forward to seeing everyone! 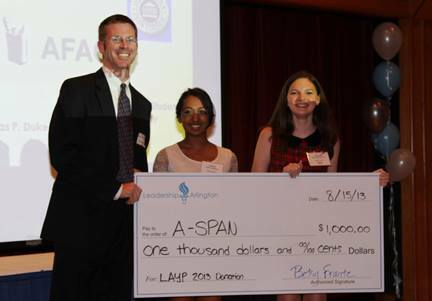 FYI – ISCC’s partnership with the Leadership Arlington Youth Program lead to the donation of $1,000 to A-SPAN. Thanks to all of the clubs that participated this year. We’re meeting on Friday, June 28th at 12:00 at Westover Library. American Legion Aux Post 139 Breakfast on Sunday June 2nd from 9a to 11a. Homemade creamed chipped beef, made to order eggs bacon, sausage, etc…GREAT BREAKFAST for $8 adults at Legion on Washington Blvd. Civitan Sale: Saturday June 1st W-L parking lot. Sales starts o’dark early Sat am. 1– A big welcome to the American Legion Auxiliary Post 139–they have joined ISCC !! Rumor has it that the American Legion Post 139 will soon be ready to sign up also. 2– Annual dues is trickling in — Karen Albert is soliciting contact updates and dues from our member clubs. 4–Membership Chair Phil Traina to contact Salvation Army and Masons to encourage/invite to join. 5–Elizabeth to visit American Legion meeting in May and set to attend Women’s Club of Arl and Better Sports Banquet in June. 6–Karen still trying to update Links contact info — last letter was returned, new one sent out with another address. Better Sports and Optimists signs up. Sign finished for now. There is still space for clubs to add their sign; contact Elizabeth Schindler. Two clubs sent in their dues in April. A check was cut and sent to Juan Sanchez for $200 to cover labor on Welcome sign. Adequate funds available to support Leadership Arlington Youth program coming up. After discussion, agreed to start monthly “highlights” first with History of ISCC with picture of refurbished Welcome Sign — hopefully to run in June. Will follow with monthly installment of a service club “blurb” and picture. We cued up Kiwanis for July — article already received from club, but need picture. Zonta volunteered for Aug. Sept: OPEN Oct: Luncheon Nov: Lions We acknowledged that this is all dependent on space availability. NOTE TO CLUBS: PLEASE WRITE 2 PARAGRAPH ARTICLE WITH BRIEF HISTORY OF YOUR CLUB, FOCUS OF YOUR WORK AND MEETING DAYS, TIME AND LOCATION. PLEASE DO NOT INCLUDE AN ANNOUNCEMENT FOR AN UPCOMING EVENT/FUNDRAISER; YOU MAY SUBMIT THAT, AS USUAL, SEPARATELY. PLEASE ALSO SUBMIT SEVERAL PICTURES — GAZETTE STAFF WILL CHOOSE BEST ONE — TRY TO SEND A PICTURE THAT INCLUDES OLD/YOUNG, MALE/FEMALE — TRYING TO APPEAL TO AS LARGE A DEMOGRAPHIC AS POSSIBLE, RIGHT? Again, we are aiming to highlight one club per month; let me know if you have a preference, otherwise we will just assign a month. You will be given 4 to 6 weeks lead time to send the article/picture to Elizabeth for first review. Please prepare as copy-ready as possible. Just let is know if your club would rather not participate. Venue: Discussion — Ft. Myer was a great spot but difficult to access. Karen to price Army-Navy CC, Wash Golf and CC and K of C.
Speaker: Discussion — Political? Tom Davis? Tim Kaine? Katie Couric? Got any ideas? any connections? Everybody put their thinking caps on. Program: We didn’t discuss this at the meeting but I will check with Shawn Kelly to see if the International Assoc of Fire Chiefs is willing to sponsor and print the programs again this year. Cadet Corps has been doing. No decision made. Any feedback welcome. Elizabeth presented a poster board of potential ideas to engage adults and children. Spinning Wheel — Solicit Gift Certs and post on large board of SPONSORS. Place 2 certs and 2 “Lunch with Service Club” per spin. $1-2 per spin suggested. As prizes won, cross off of SPONSOR BOARD.. running visual of what prizes are left. info about their club. I called Mr. Karinshak and he will look for it. Large Donation Bucket — Discussion: Identify “to help support Leadership Arlington Youth Program. Bell in Center of Tent — Ring it every time someone says, “I’d like more information about joining…”. Discussed a couple of other ideas…will re-visit next meeting. Speaker: Will be trying to get a rep from our newest member Am Legion Aux to fill us in on their wide array of activities and projects. Speaker time will be limited to 20 min since we have a lot of business in the hopper. Please send a REP from your club….helps us, helps YOU !!!! REMINDER: Our next ISCC meeting will be Friday, May 24th at Westover Library in the large conference room at 1:00. No guest speaker this month. (Guest speakers every other month). Thank you, Karen Albert for arranging a fabulous presentation on Air Charity from Main St. Bank. Check out the ISCC website for contact information that can enhance or streamline your club’s capability for online donations. Mains St. Bank is able and willing to help you set it up. During our May meeting we will be exchanging news about our clubs’ upcoming fundraisers and projects and brainstorming/action planning for Clarendon Day. If you have any recent pictures of your club in action, please forward them to Kim Durand to post on the website — ACTION, ACTION…WE WANT ACTION !!! (bring out the pom-poms). If you haven’t noticed, the WELCOME TO ARLINGTON SIGN is finally finished !!! New ones up, old ones down, replaced and shuffled !! If you belong to the council and aren’t represented on the SIGN, please contact me and we’ll get your club UP THERE !! Shoot me an email at enjschindler@aol.com. ISCC members please welcome American Legion Auxiliary Post 139 located on Washington Blvd to the Inter-Service Club Council. They are involved in some worthwhile projects and I’m looking forward to posting some of their activities on our website/blog. They are hosting a breakfast for the veterans and the general public on Sunday June 2, 2013 at the American Legion Post at 3445 N. Washington Blvd. from 9a to 11a. Omelets and eggs are cooked to order AND they will be serving creamed chip beef, pancakes, home fries, sausage gravy, bacon etc etc ….wow, all for only $8 for adults and $4 for children. Come out to support our newest member and introduce yourself !! I’ve attached their flyer to this email. Print it up and spread it around !! (If truth be told, I visited a recent meeting of the Auxiliary to invite them to join us. I was so impressed with their programs and service to our veterans and active duty soldiers, I signed on the dotted line and JOINED THEM !!) The American Legion Post 139 has voiced an interest as well…..more to come…will let you know. Even if you are unable to attend our monthly meetings, please, please stay connected and forward any ideas or feedback that you/your club may have. I know we all sit at the table with an already Full Plate…the Council is here to help support and promote your club. We’re all in this together; with membership to service clubs waning anything we can do to raise our collective profile and create some BUZZ helps us all. I encourage everyone to visit other clubs, attend their fundraisers or help out at each others’ service projects. I’ve had the pleasure of doing just that over the last couple of months and look forward to doing more Cross-Pollinating this summer. So that we have an up-to-date list of where and when your club meets, please send MEETING INFO to Kim Durand with a cc to me to make sure our records are accurate. Lastly, we will be submitting our first Service Club Highlight next week to the Sun Gazette — a brief description of the history/focus of one of our member clubs along with an action photo. Please also include when and where your club meets. If the publication will coincide with an upcoming event, you can include info for that as well. Kiwanis Club of Arlington will go first in the month of June. They are putting together a paragraph/photo for review before forwarding to Scott McCaffrey. I’ll start a calendar cuing up which clubs will be highlighted monthly for 2013/2014. If you have a preference, please let me know. For now, I am the main contact for this project. Sure hope to see someone from your club at our council meeting next Friday….